There are so many reasons to spend a summer working at Camp Riverwood! As a staff member you will receive many opportunities to grow, learn and gain amazing leadership experiences working with children and other staff. 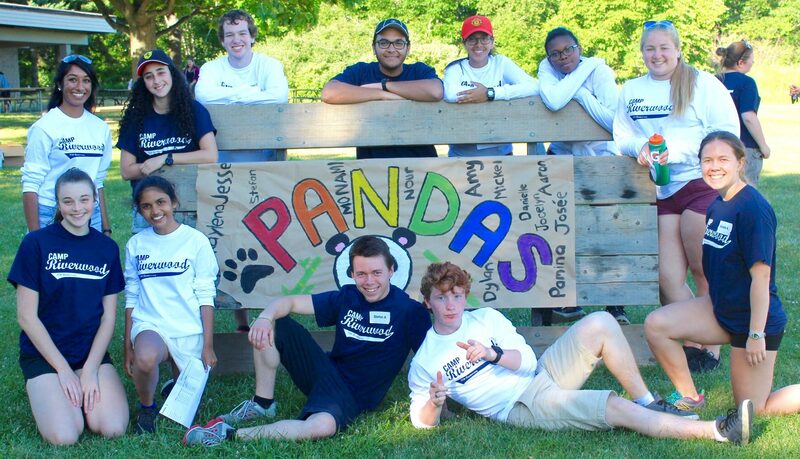 But most importantly Camp Riverwood will provide you with the most memorable summer experience. Our philosophy is that happy staff make for happy campers. We therefore create a work environment that is fun, challenging, and supportive. Staff should be prepared to come to camp everyday ready to sing, dance, cheer, get wet, get dirty, and have fun! Prior to the commencement of camp, you must have at least completed Grade 10. Staff must have (or obtain prior to the summer) a current First Aid and CPR certificate. During the camp season, FREE daily transportation to and from the camp is provided from The Beaches, West Hill, Scarborough, Pickering, Ajax, Whitby, Brooklin and Oshawa. You must be available 5 days a week Monday to Friday. The camp day is approximately 9:00 a.m.-4:00 p.m. plus travel time. It is not necessary for a potential staff member to have had any previous camp experience. Complete our online staff application form located at the bottom of this page. We will contact you to book an interview should there be appropriate opportunities available. Interviews are held at our Markham office. As public transportation is not available for your interview, you must have your own transportation arranged. Our address is 11123 Kennedy Road in Markham. We are located 3 km North of Major Mackenzie Drive on the east side of Kennedy. Check out our location map of the office.